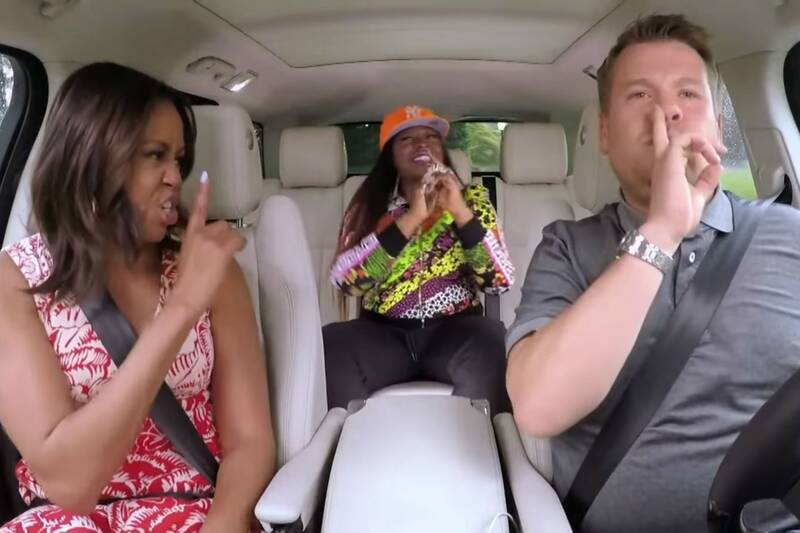 Simply because the Obama's will be gone soon, I have to share the First Lady's Carpool Karaoke experience. I don't know how I continuously find myself in the Youtube video vortex but one thing leads to another and I'm watching animals twerking and Michelle Obama getting crunk with Missy Elliot. I thought this would be a great way to start off the day with a little bit of the first family mixed with a lot of that Urban culture that keeps getting appropriated. Check Out Our First Lady getting her freak on before they bid farewell to America.